With the membership plan changes that Distinctive Holiday Homes just announced, the destination club also announced that a new home in Hawaii will be available to members, plus it laid out plans for the other near term home additions. The 4,000 sq-ft, 4 bedroom 3 bathroom home is located just a few hundred feet from the beach in Lanakai, on the island of Oahu, Hawaii. The residence has a lava-rock pool, a waterfall blending into the tropical surrounds, huge living and entertaining spaces and a large dining room that looks out over the pool and garden. It also comes equipped with a BMW X5 and a Mustang convertible, and various bikes and kayaks. Members can start reservations from 15th September this year after the property has undergone refurbishment to bring it up to full club standards. Next on the list, Distinctive Holiday Homes plans to open its New York residence in late October. This will be a one and a half bedroom condominium at 1600 Broadway by Times Square. Several other destination clubs have homes in this same building. The other near term home additions, include: London, UK; Provence, France; St Maarten, Caribbean; and Sydney, Australia. Hawaii is an immensely popular location for the destination clubs and all the major clubs have one or more homes on the islands. 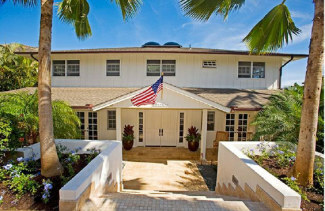 Several fractionals and private residence clubs are also starting to be developed in Hawaii.